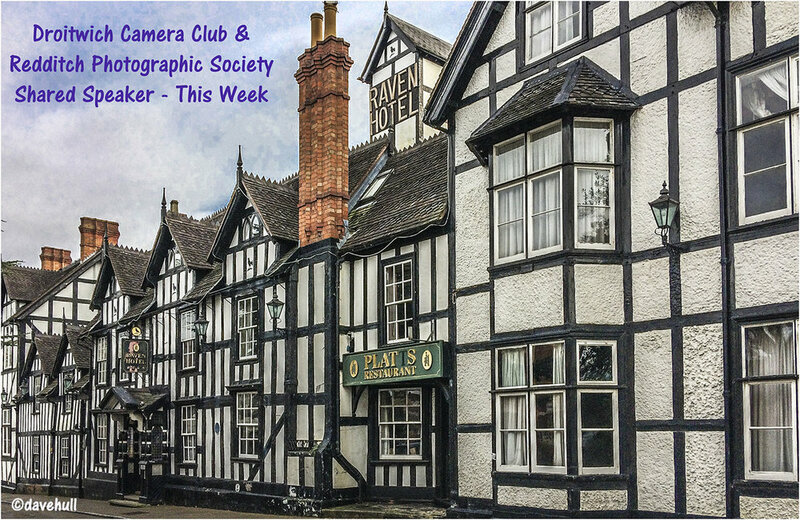 Droitwich Camera Club and Redditch Photographic Society are pleased to announce that they have jointly engaged Roger Hance, LRPS, ARPS to give two illustrated talks this coming week. Details of times and venues are shown below and members of each club are welcome to attend both evenings. Roger lives in Colchester, Essex, and joined Ipswich and District PS nearly 30 years ago and the RPS in 1985 where he progressed through LRPS and ARPS and gained notoriety in 1990 when he was awarded three FRPS's simultaneously in the Portrait, Applied and Pictorial sections. He won the 'Amateur Photographer of the Year Award' in the AP magazine in 1990 and was invited to join the RPS Licentiateship Assessment Panel the following year and served on this for 8 years. He took up Natural History Photography in 1993 and obtained his 4th FRPS in 1998 with a panel of prints of British Fungi. He has specialised in Natural History for the last 10 years, and currently sits on the 'A' and 'F' Nature Assessment Panel for the RPS. Roger has received many awards in exhibitions and holds a BPE5* and an AFIAP and has sat on many judging panels for national exhibitions. Roger's talk will cover a complete mixture of subject matter, in both monochrome and colour, ranging from Sport, Landscape, Natural History, Portraits (both studio and environmental), Live groups, Close Ups, and much more. He will show some images from the 'project' he is currently working on, as well a few 'before and after' images to show how they are processed. Roger’s talk will cover a wide array of subjects in some of the best places in the British Isles for nature photography.